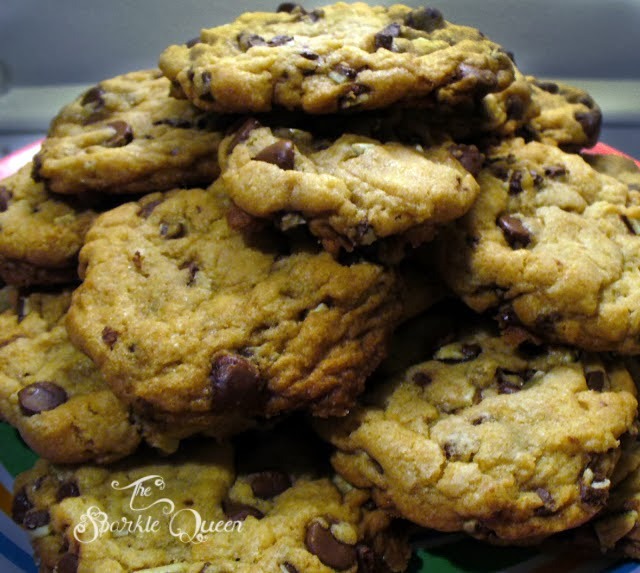 These cookies are a perfect after dinner treat that leave an extra minty flavor in your mouth! An excellent addition to Santa’s milk and cookies, aside some hot chocolate, or even with eggnog! 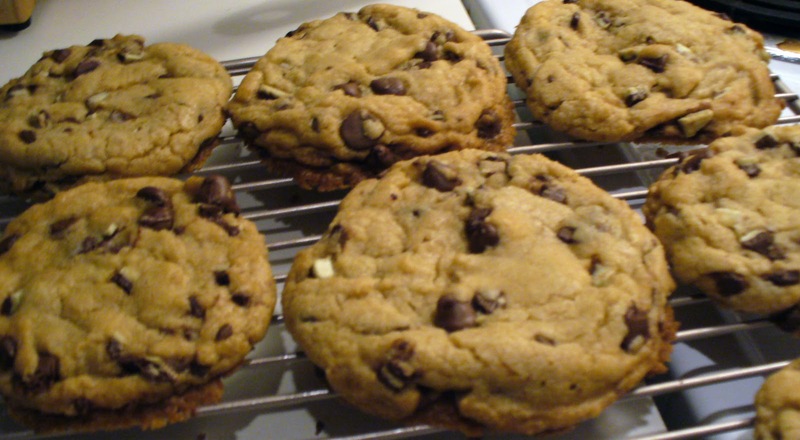 Preheat the oven to 325 degrees F. Grease cookie sheets with favorite nonstick spray. Bowl 1: Mix together the flour, baking soda and salt. Bowl 2: Cream together the melted butter, brown sugar and white sugar until well blended. THEN beat in the vanilla, egg, and egg yolk until light and creamy. Mix in the sifted ingredients until just blended. 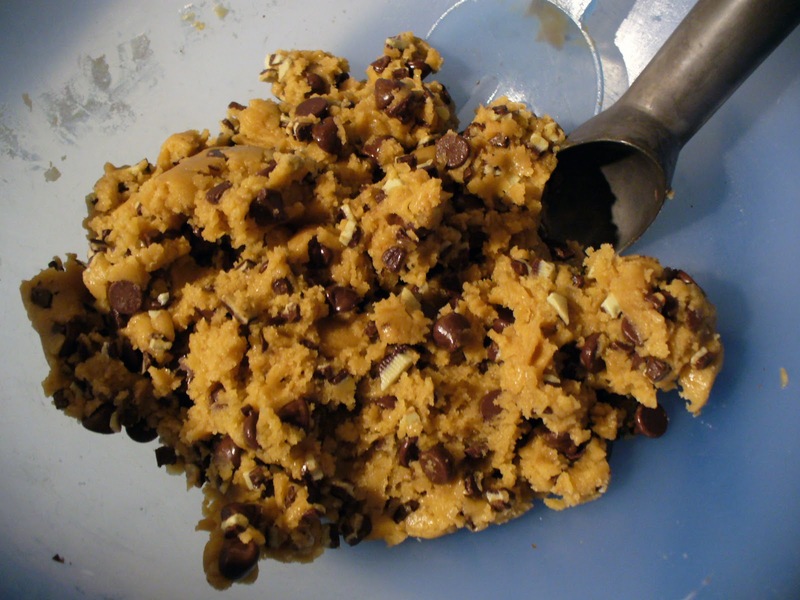 Stir in the chocolate chips by hand using (Don’t throw them in the mixer if you are using one!). Follow with the Mint Chips, also by hand. 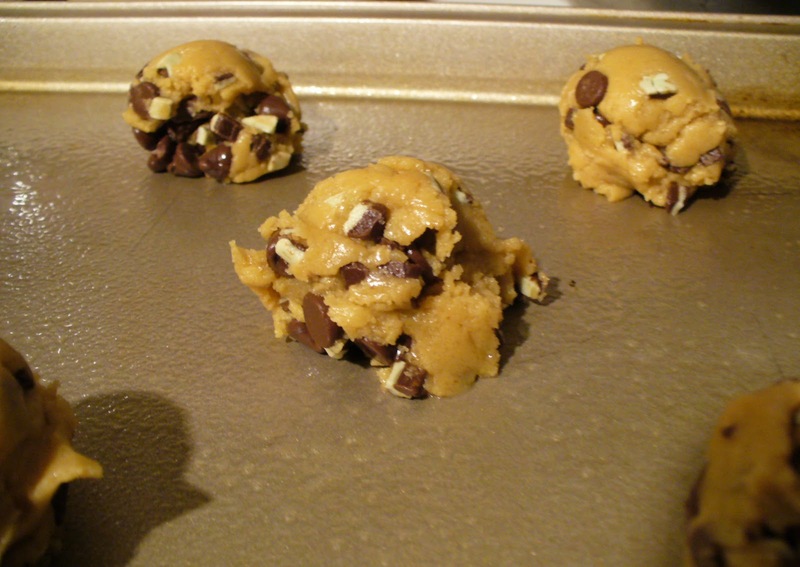 Drop cookie dough onto the prepared cookie sheets. 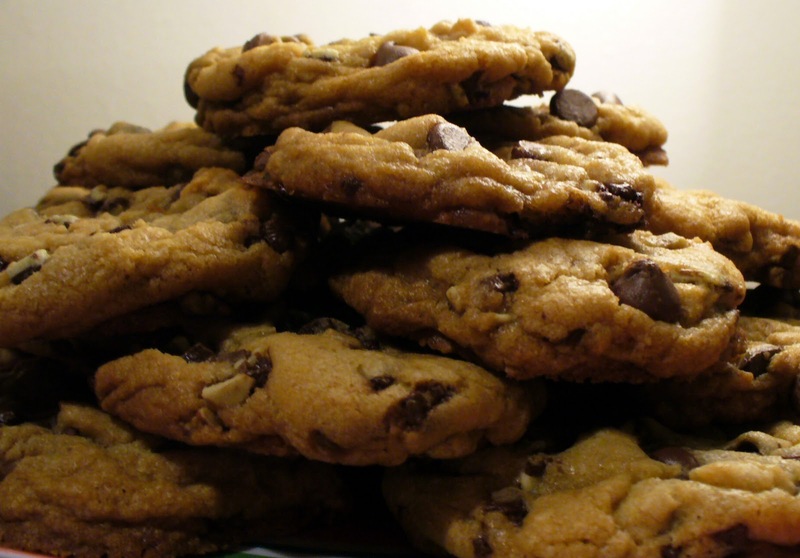 Cookies should be about 3 inches apart. Depending on the size of the cookie you are going for, an PAM sprayed ice cream scooper works well here. 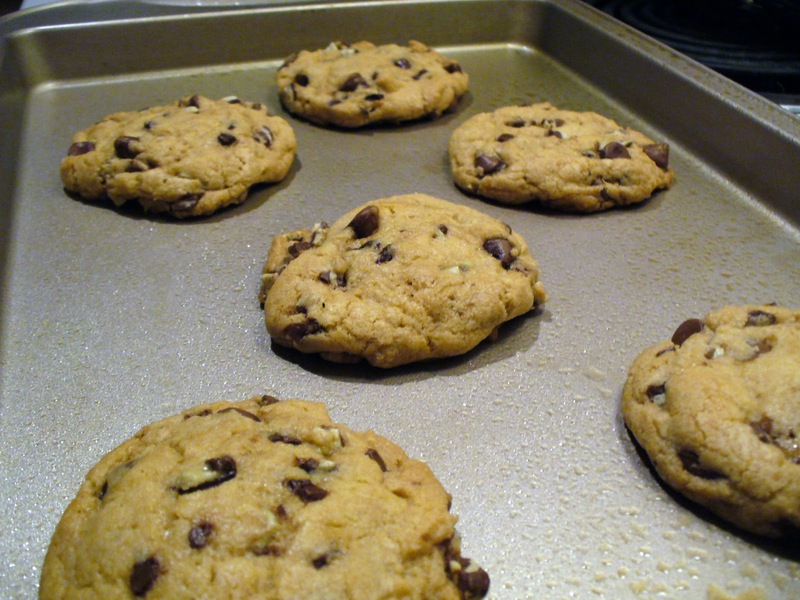 Bake for 14 to 17 minutes in the preheated oven, or until the edges are lightly toasted. Cool on baking sheets for a few minutes before transferring to wire racks to cool completely. This is because all of the chocolate needs a few extra minutes to harden, or else they will cool formed with ridges from the wires on the rack. PS – If you love this cookie, please vote for it on the Instructables Cookie Challenge! Thank you!